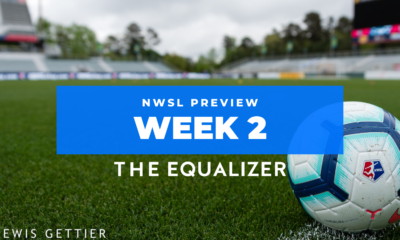 Seattle Reign FC returned to the NWSL playoffs with a 2-0 victory over the Houston Dash on Tuesday night at Memorial Stadium. The Reign also moved to within a win — or two draws — of securing Memorial as the site of their semifinal. 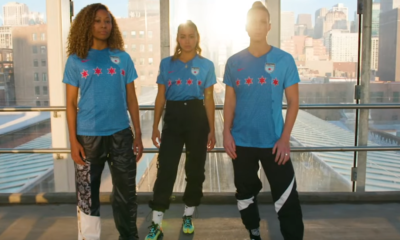 They will also clinch if the Chicago Red Stars and Portland Thorns both drop points in any match. Meanwhile, the Dash missed an opportunity to climb into a top-four position and now find their season on the brink. For the second week in a row the Reign hosted a match in less than suitable conditions due to wildfires ravaging the Pacific Northwest. 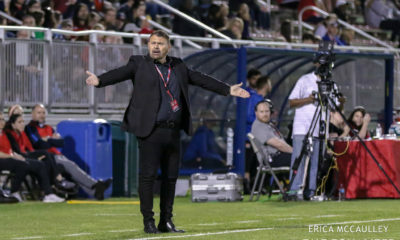 As late as 50 minutes before the scheduled kick, the National Women’s Soccer League was huddling up to determine if conditions were safe enough to play the match. They decided to proceed with water breaks every 15 minutes and oxygen at the ready behind each bench. It was the Reign who looked more ready to play, and they had all of the best chances in the opening half, starting with Jess Fishlock wrapping one off the post in the 7th minute. Near the end of the half, Megan Rapinoe drove a free kick to the upper 90, but a well-positioned Jane Campbell got there in plenty of time to parry it away. The goals came in the second half, both courtesy of Jodie Taylor. The opener came in the 58th minute. Jasmyne Spencer drew Allysha Chapman out to defender in midfield and exploited the space behind her by playing Theresa Nielsen down the right. Nielsen got off a free cross and Taylor streaked in to redirect it out of the reach of Campbell. 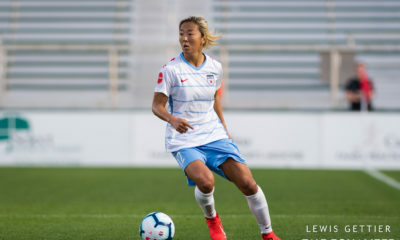 Taylor struck again in the 61st minute, this time collecting the ball from Rapinoe nearly 30 yards from goal, dribbling to her preferred patch of turf and easily shrugging off Janine Van Wyk before beating Campbell from outside the box with a high, arching shot. Between goals, Campbell stopped Taylor from close range after Rapinoe made a fabulous run down the left and found the English striker loose in the box. 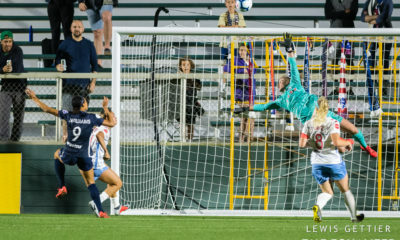 The Dash push did not come until the final 20 minutes, but they were unable to beat Lydia Williams, who collected her 10th shutout of the season. 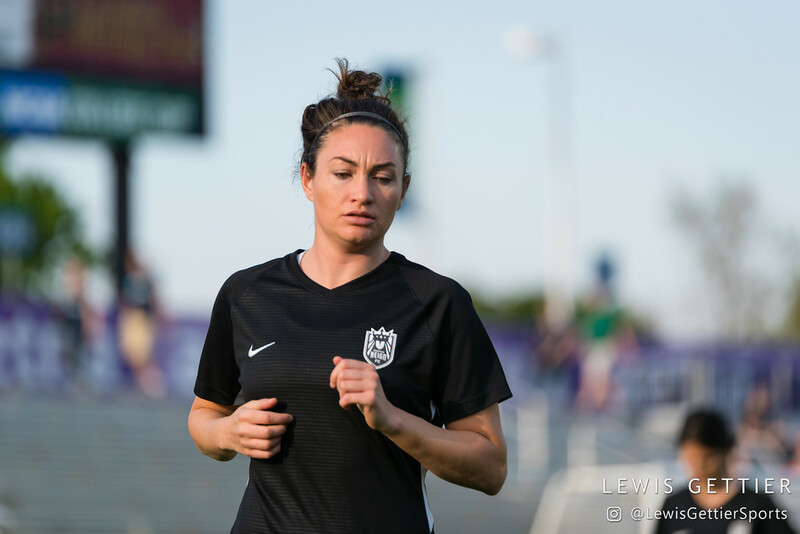 It was the 12th of the year for the Reign, which ties the league record set a season ago by North Carolina Courage. The Reign (11-4-7, 40 pts.) will be back at Memorial on Saturday for a matinee against the Shield-winning Courage. The Dash (8-9-5, 29 pts.) are home Saturday night to face Sky Blue FC.